Pixpa Stores follow all the best practices of Search Engine Optimisation and enable you to add relevant metadata easily to your store that further improves your store’s search engine rankings. For the overall store – This is used across the store as the default metadata. For the store categories – You can set metadata for individual categories. 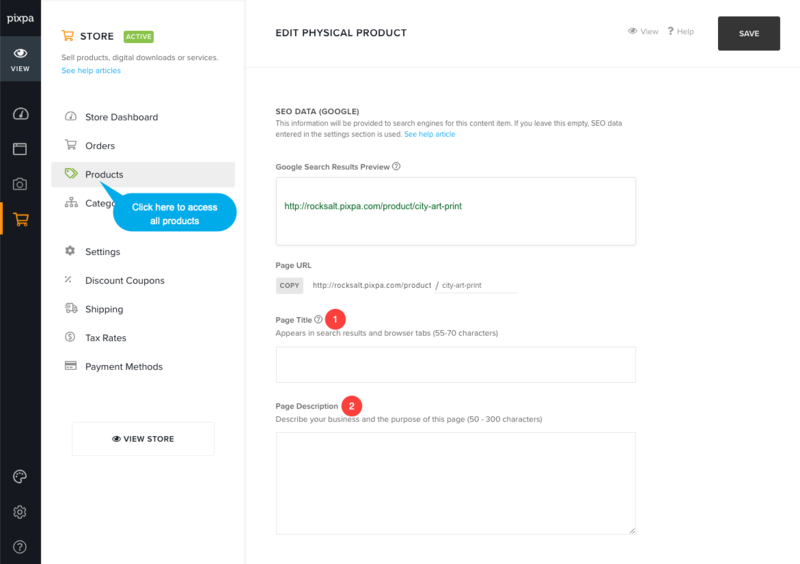 For individual products – You can set SEO metadata for each product individually. Click here to know more about website SEO meta data. Scroll down to SEO Data section where you can specify meta data for your store that would be used across the store. Keywords – Add search keywords separated by commas (Usually 8-10 words). Please note, Google bot do not read these keywords anymore but other bots do. Include search related phrases and title. 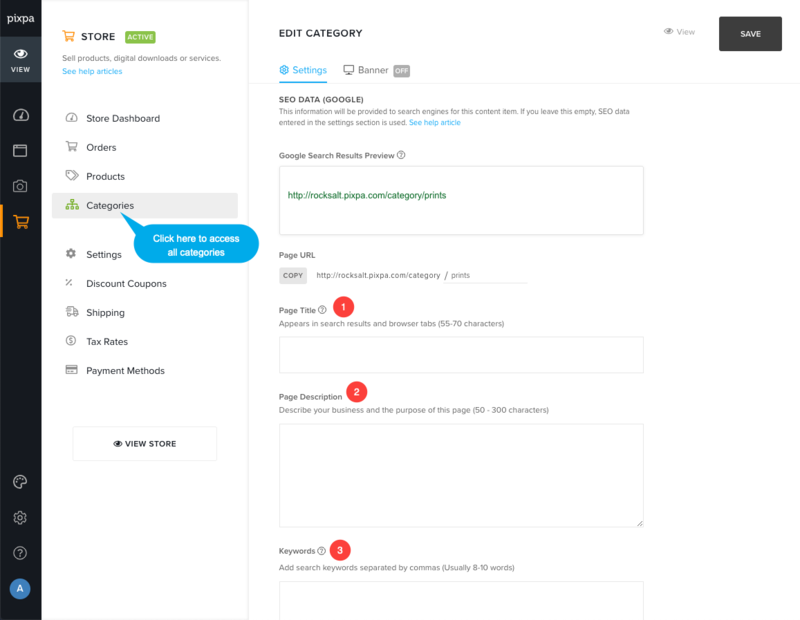 On the category creation/edit page, scroll down to SEO Data section where you can specify meta data for your particular category that would be used across the store. 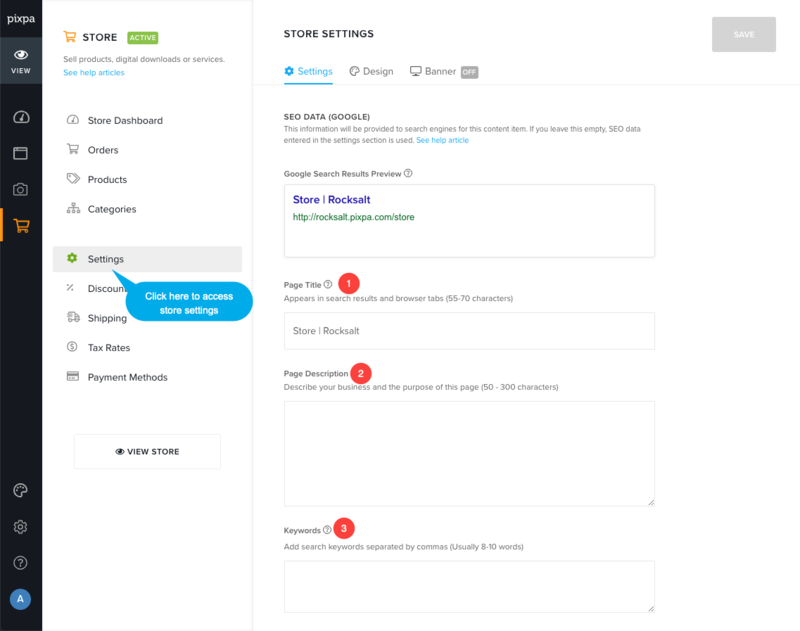 On the product creation/edit page, scroll down to SEO Data section where you can specify meta data for your particular product that would be used across the store. Note: Irrespective of your website metadata, Google may also change your page titles and descriptions (or “snippets”) in their search results based on entirely an automated process of deciding what they think your site/page is all about and what Google’s system thinks best represents that page’s thematic focus. You can read official explanation here.